The year was 1933. The setting: a nascent textile industry in South India faced with a host of challenges. Leaders from the industry came togeth er to create a common forum that would foster its growth. 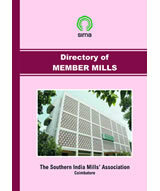 Thus was born Southern India Mills’ Association. That vision created an enduring legacy; today, SIMA is an organization that has retained its social relevance and emerged as a responsible contributor to the growth of the industry. This book chronicles its seventy-five-year odyssey. SIMA has membership from entire textile value chain from yarn to finish. 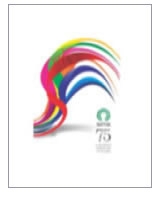 The directory of SIMA members contains the list of members along with the contact details, range of manufacture, machinery installed and its capacity, countries exported, etc. Enormous time and manpower were spent to collect data from the textile mills to make it perfect. The directory is very helpful for the yarn traders, textile machinery & spares manufacturers to establish trade contacts with textile mills. The directory is updated at periodic intervals. Employee training and development have become essential features for any organization because of the quality of work demanded in the workplace at all levels. Systematic training of employees is inevitable to improve performance in their present jobs, acquire necessary skills and knowledge to do new jobs and to control their career progress in the changing world of activity. 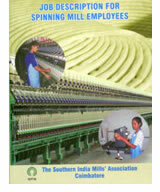 This publication will be found useful to improve productivity in textile mills and also as a ready reference to the technical and personnel executives in spinning mills for their day-to-day functioning. In the present day competition, to control cost of various factors of production and achieve consistent quality, work methods and optimum utilization of all resources have become necessary for a sustainable growth. 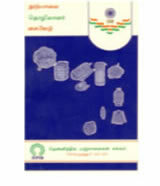 This tamil publication explains the duties and responsibilities of all category workers in a spinning mill starting from mixing department to power house incorporating work methods and system improvements and all the technological developments that have taken place in the spinning mills. This publication is an exercise that has been made by the association to highlight good and wrong practices of various categories based on the observations made during work studies conducted by SIMA’s Industrial Engineering division in mills. The list of good practices has been accompanied with some suggestions. By eliminating the listed wrong practices, any spinning mill can improve their productivity to a considerable extent. The list of good practices and suggestions will boost the productivity to a greater extent. In the present scenario, there is increasing demand for increased production resulting in the high competition. The mill which produces export quality yarn or the yarn which meets the quality requirements of exporting hosiery, powerloom and handloom consumers is considered to be the best. Domestic market demand is also increasing day-by-day. This book contains information to be known by the workers related to the mill apart from their regular job. It is sure that each worker who has read this book by understanding clearly and following it regularly will be the best contributor to the mill. Tamil Nadu which accounts for one-third of the country’s textile production started facing labour shortage from the 1990s. In order to overcome the labour shortage, textile mills started employing women in large numbers by providing dormitory facilities to ensure them adequate safety and security. In the recent past, there has been a lot of criticism about women employment in textile mills, particularly the apprenticeship scheme system adopted by mills under which women in the 17-18 age group prefer to work for a fixed term of three to five years before their marriage. 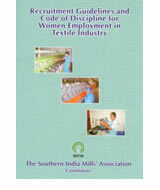 This publication has evolved as a result of decision to design a code of conduct and issue certificates for women employment in textile mills. This also contains the guidelines for the mills on the system to be followed and also on the do’s and don’ts of the women employment system. The roots of SIMA Review- a monthly in-house journal, dates back to 1970s when it was known as SIMA Courier, which was a weekly journal in those days. 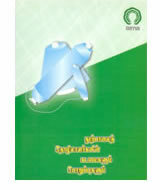 The name of SIMA Courier changed as SIMA Review in the year 2000. 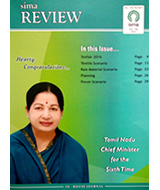 The journal covers the updates of the general textile activities as well as the activities of the Association towards the cause of the textile industry. More than 600 copies of the journal are printed every month. Besides the textile mills, the journal also reaches government officials, cotton bodies, othr Associations, etc., in order to enable them to have an idea on the problems and prospects of the textile industry and also create visibility of the Association among them.